Hi -- plethora of info. here and I admit I'm just getting started. 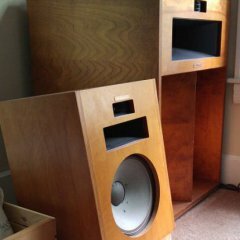 As the other thread starter mentioned, I've also been considering a tube amp, "for the heck of it". Sounds like a build kit might be a rewarding project to try, but like the other poster, I don't want to break the bank and my soldering skills are rudimentary at best. 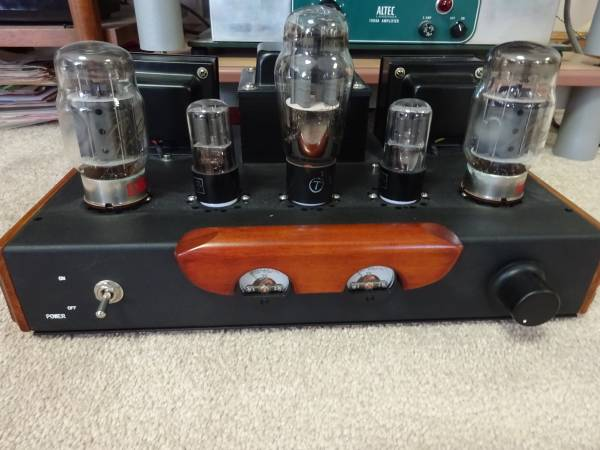 At any rate, I found a tube amp local to me (about 20 minutes away) but don't really know what the specs mean, or if this is a decent deal, or what questions to ask. Can someone offer input? Guy is asking $275. Likely this would be paired with Chorus II's. Thanks! 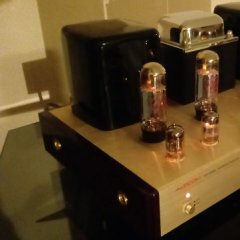 Single Ended Kt88/6550 Stereo Amp. Has Great sound well built with Japanese Transformers. Comes with new style Gold Lion Kt88. So is this a brand name amp, or DIY? And, what is your location btw? Hey Jimjimbo --- don't know what it is. That was the description above the photo. I'm in Nebraska. Lincoln. I'd be leery at that price, might have a lot of hum or other nasty's going on. If you can audition it, and it sounds good, it might be a great deal. === twenty minutes away? For sure have an audition, like it or not you’ve got nothing to lose. Might be a talented builder and sound great. Just because it’s inexpensive doesn’t mean it can’t be quiet. 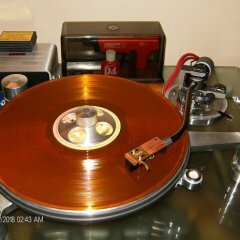 I've got something similar and it sounds amazing with either the La Scala or the Heresy. i would imagine it would make the Chorus sound fine also. Thanks for the tips. I'll see if I can contact the seller and have a listen. For that money, the asking price won't even pay for the output transformers if they are decent.Maybe some old stock transformers?Find the source of the transformers,get a schematic if you can, then buy it. Is it my imagination, or are the getters on those output tubes turning white? On second thought, I expect this is a Chinese amp.Even so, you can always upgrade parts if needed, and its a good price to get into tubes. Thanks for the additional tips! I emailed (no phone in the ad), and didn't hear back yet. Maybe he already sold it. I appreciate the advice! Thank you! That is a Douk or psvane. Chinese amp sells on Ebay for $500+. Has great reviews. I plan on buying one after christmas.